Just how much does moving cost? We’ve outlined moving costs by looking at the average removalist costs according to a range of circumstances. We’ve listed some costs saving tips and how to avoid being scammed by a removalist. Dive into the section that interests you, or simply start at the top. If you’re looking to move while selling your house, be sure to look into the top-performing agents using our free agent comparison service, allowing you to quickly compare the top-selling agents in your area. Also watch this video for some great moving tips and tricks, including putting handles in your cardboard boxes, space saving techniques and more. How Much Do Removalists Charge? What Services Do Removalists Provide? How Much Does It Cost to Move Interstate from Tasmania? What Are the Costs of Moving Overseas? How Much Does a Move Out Clean Cost? Basically, it comes down to how many man hours the house movers have to spend getting your belongings from point A to point B. The actual cost per hour varies from company to company, but $100 per hour for two men is a rough base price. As you would expect, the price increases when more men and a larger van are required. Three men using a full-sized van to move a three-bedroom house could cost $144 per hour or more. Some moving companies offer online removal cost calculators. These will give you a general idea as to how much that particular company will charge you to move house. Just be aware that the calculated cost will be an estimate only and not a fixed quote. Oneflare provides an up-to-date, state-by-state guide to typical removal costs. For example, in NSW the total cost of hiring removalists ranges from $200 to $750, with the median being $460. These, of course, are for moving house within NSW. Intrastate removal costs in other Australian states or territories aren’t significantly different from these. Moving house is like getting a cross-eyed dentist to pull your teeth, only worse—Anonymous. When requesting a quote from a moving company, be sure to ask them if their hourly rate is all inclusive, that is, whether it includes the cost of moving insurance and other possibly hidden fees. If it doesn’t, ask them what other costs you may incur. It’s customary for removalists to charge less to move house during the week than on a weekend. Should you need to move on a weekend, find out what their weekend rates are. The same applies if you require their assistance on a public holiday. When it comes to range of services, not all removalists are equal. A moving company that performs overseas removals, for instance, will offer a wider range of services than one that only does removals within a single state or territory. If you have extremely valuable items, such as a grand piano or an oil painting collection, that need to be moved, you may require the services of a specialist removal company. Google will help you find the right one for the job. 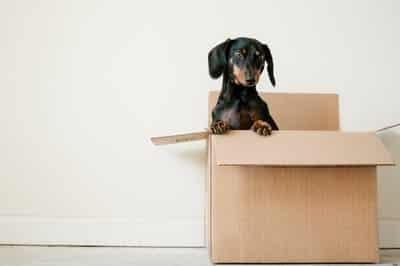 Since interstate moving costs can vary greatly, the answer to this question depends on which state or territory you’re moving to and how much stuff you need transporting. The simplest and quickest way to determine the cost of your move is to get a quote from several moving companies. A word of warning: don’t go with the company that offers the cheapest quote without checking out its reputation first. As we shall see, the cheapest removal service isn’t always the best or the most reliable service. An interstate moving cost calculator is a helpful tool for working out the approximate cost of your move. Make sure that the removal company providing it is based in your state or territory. There is no point getting a company in Darwin to help you move if you live in Tasmania. Tasmania demands special consideration in relation to a move anywhere else in the country because it is separated from the mainland by a large body of water. Therefore, the cost of sea freight or air freight must be factored into the overall removal cost. Understandably, most people go with the sea freight option, which is appreciably cheaper. This involves having your belongings loaded into a metal shipping container. The moving company or dock workers will carry out this task. 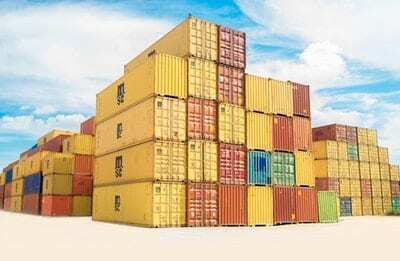 The cost of moving interstate from or to Tasmania depends on too many variables to provide a list of standard shipping prices. Only a removal company with experience helping clients move house across Bass Strait will be able to give you a reliable cost estimate. There are a number of cheaper alternatives to shipping your items to or from Tasmania. Budget Self Pack Containers offers a highly popular one. Because of all these factors, the cost of an international move can differ markedly. This should come as no surprise considering how many countries there are in the world and the often great distances between the regions inside their borders. In order for the prospective house mover to give you an accurate cost quote, you’ll need to give them as much information about the move as possible. They’ll need to know when you plan to move and the kinds and quantities of items to be shipped. They’ll also need to know about any family pets that you’ll be taking with you. Arrangements may have to be made for your pets to be quarantined in the destination country. This, however, is not applicable to all countries. Some moving companies conveniently offer house cleaning as an optional extra. Alternatively, you can hire a dedicated cleaning service to do the work. A moving-out clean usually costs more than a standard home clean because it has to be more thorough. Floors, walls, carpets, shelves and windows all need to be cleaned. The total cost could be anything from $150 to $250. Expect to pay a lot more if the carpets in your house or apartment need to be steam cleaned, or the floorboards need repolishing. Sadly, the removalist industry is not immune to con artists. Last year A Current Affair ran a report about a budget-priced removalist with a bad habit of damaging items in transit or not delivering them at all. At the time of the report, many of his clients had yet to receive their possessions. As his company’s website was one of Google’s top search results for cheap house removals, some people hired him pretty much on the spot without doing their due diligence. This turned out to be a very costly mistake for them. So how do you separate the good house movers from the bad house movers? Once you’ve found a prospective removal company, conduct a Google search for reviews of their services. Be leery of five-star reviews posted on social media sites like Facebook and Google Plus. Some unscrupulous businesses actually pay people to post them. In addition, you can start a thread on one of the online Australian property and real estate forums, asking for people to recommend a good moving company. Or you can ask someone you know who’s recently moved house if they would recommend the company they used. In the end, there is no better recommendation than word of mouth. When sussing out a prospective removal company, common sense should always be your guide. 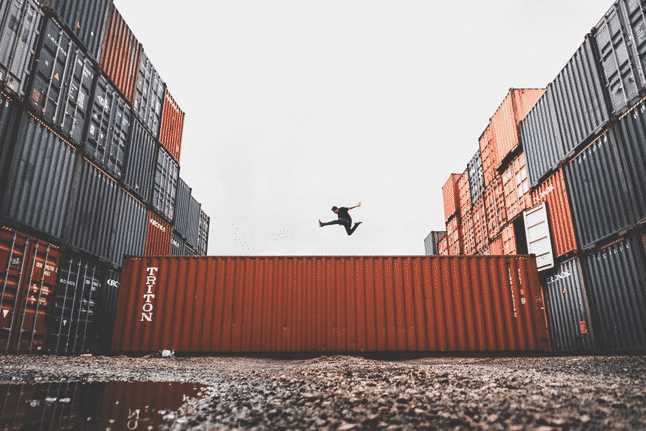 If a moving company is going to charge you considerably less than the competition, that could indicate it’s cutting corners you may not wish to be cut. Later we’ll look at one of the finest but oddly neglected information sources on hiring a professional removalist and the potential pitfalls thereof. There are many practical ways in which you can cut the cost of moving house. The thing to keep uppermost in mind is that the less time house movers have to spend helping you shift, the less money you’ll have to pay them. First, hold a garage sale to sell all the stuff that you don’t want to take with you. This will decrease the number of items you have to move and give you some extra cash, to boot. If you don’t have a garage, advertise the items on Gumtree. Should some of the larger items, e,g. pieces of furniture, fail to sell, donate them to the nearest op shop that will take them. Call the shop first to ensure that it will do so. Not every op shop will. Second, plan to move on a weekday. As already discussed, removal companies charge more, sometimes a lot more, to perform their services on weekends and holidays. Third, do as much of the packing that you possibly can. Box anything and everything that will fit in one. Be sure to label each box so you know where the items in it are supposed to go in your new place. You can go one step further by giving each box a number corresponding to the number of a particular room in your new place. For example, a box with “1” on it would go in bedroom one. This will save the removalists time having to ask you where everything belongs. 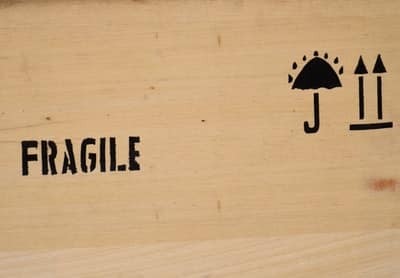 Don’t forget to clearly mark boxes containing fragile items as FRAGILE. A coloured marking pen is the ideal tool for this job. You can save money on boxes by picking them up for nix from your local supermarket or other big store. The store managers will be only too happy to get rid of them. Discount stores like the Reject Shop are good places to go for things like cheap rolls of packing tape. You’ll probably need quite a few rolls. After you’ve boxed everything, put the boxes nearest to the front of the house, preferably all in the one room if possible. That way the removalists won’t have as far to walk to collect them. A garage is an even better place to put them. NB: Before you start packing, check with the moving company that all the items you pack will be covered by their transport insurance. Some insurance policies do not cover self-packed items. Fourth, perform all the house-cleaning duties yourself. This alone will save you up to $200 or even more. If you’re unable to do the house cleaning, you could hire someone through Airtasker at a discounted rate or pay a mate a few bucks to get the job done. Don’t skimp too much on their fee; they might skimp on the quality of cleaning. And last, you could hire a DIY removal van and carry out all of the moving work yourself. Of course, you’ll need someone to help you load and unload the van. And to drive it if you’re not confident enough to get behind the wheel of a large vehicle. It should be pointed out that a DIY removal van is not recommended for anything other than moving house to another suburb within your state or territory. For longer moves, get professional removalists to transport your possessions. Moving can be a stressful time, especially when you’re talking to multiple companies and deciding between multiple quotes. If you’re thinking of moving, you may be looking into sell your property at the same time. It’s a good idea to meet with top real estate agents when you decide to sell, so use our free service now to quickly compare the most experienced agents in your area so you can move stress-free.